Can Fish Oil & Red Yeast Rice Be Taken Together? Red yeast rice is the fermented product of a fungus called "Monascus purpureus" that grows on rice, according to Memorial Sloan-Kettering Cancer Center, or MSKCC. The use of red yeast rice dates back thousand of years to China. Red yeast rice is used in foods and for medical benefits, as noted by the University of Maryland Medical Center, or UMMC. Red yeast rice contains HMG-CoA reductase inhibitors, similar to the cholesterol-lowering medication. Classified as a dietary supplement, red yeast rice is not a substitute for medical treatment; consult with your health care provider to discuss any potential risks. The UMMC reports that side effects while taking red yeast rice are rare, and generally may cause minor discomfort. However, the most common side effects reported include headache, stomach ache, bloating, gas, dizziness and heartburn, according to MSKCC. Liver damage is one of the potential risks associated when using red yeast rice. The signs of liver damage include dark urine, increased liver enzymes in laboratory tests and jaundice, which is yellowing of the white areas of the eyes. 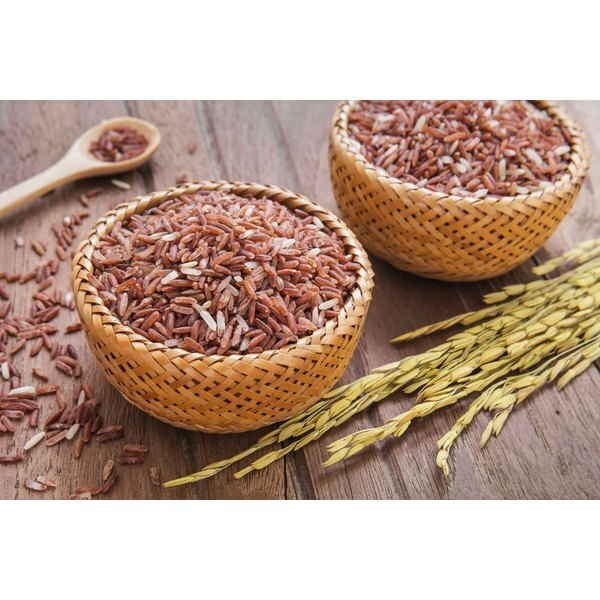 Physicians at Englewood Hospital and Medical Center released a study in the “Annals of Internal Medicine” about the correlation of using red yeast rice and liver damage. The results conclude “red yeast rice, like any HMG-CoA inhibitor, can cause hepatitis.” In addition, the doctor’s state that nutritional supplements are exempt from the U.S. Food and Drug Administration inspection and the labeling of the ingredients may not be accurate. Muscle aches, tenderness and pain might indicate muscle myopathy---muscle weakness caused from dysfunction of muscle fibers---and may be present while taking red yeast rice. In addition, some patients will have a moderately elevated creatine phosphokinase--an enzyme found mainly in the heart, brain and skeletal muscle--level during laboratory testing. In several studies, the symptoms and laboratory tests resolved after discontinuation of red yeast rice. According to a 2006 study published in the “Annals of Internal Medicine,” Dr. Paul S. Mueller, from the Mayo Clinic, suggests that red yeast rice, used for self-treatment of hyperlipidemia--an elevation of lipids in the bloodstream--can cause myopathy, and clinicians should be warned of the adverse effects. Rhabdomyolysis occurs when myoglobin---muscle fiber contents---enter into the bloodstream from muscle fiber breakdown. This condition causes severe muscle aches, weakness and kidney damage. While taking red yeast rice, if these side effects occur, you should discontinue taking red yeast rice immediately and contact a health care professional. According to a 2002 study released in “Transplantation,” the Department of Medicine at University of Toronto states “rhabdomyolysis is a known complication of HMG-CoA inhibitor therapy for post-transplant hyperlipidemia, and thus monitoring for this effect is indicated.” The study warns transplant patients against using herbal preparations to lower lipid levels to prevent such complications from occurring. In addition, after the renal-transplant patient discontinued red yeast rice, the condition was resolved. In a 2007 U.S. Food and Drug Administration news release, Dr. Steven Galson, director of FDA’s Center for Drug Evaluation and Research, reports the correlation of ingredients in red yeast rice to the cholesterol-lowering medication lovastatin. In addition, informing the consumer of the lack of information released on the potential side effect of red yeast rice and how the supplement can adversely interact with other medications and supplements was required. Medications and supplements to avoid while taking red yeast rice include anticoagulants, cholesterol-lowering medications, and coenzyme Q-10, according to UMMC. In addition, a 2000 study released in “Clinical Pharmacology and Therapeutics” by the University of Helsinki, Finland concluded “grapefruit juice can greatly increase serum concentrations of lovastatin, and its active metabolite.” Since lovastatin is one of the reported ingredients in red yeast rice, according to the FDA, avoiding grapefruit juice while taking red yeast rice is recommended to prevent potential complications.